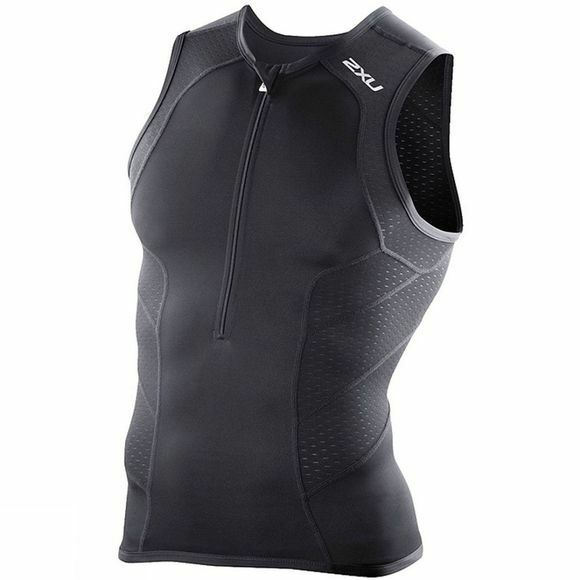 With greater aerodynamics than previous models, the highly versatile 2XU Perform Tri Singlet delivers an unparalleled quick dry straight out of the swim thanks to SBR Lite Fabric. Designed for optimal comfort during races, the Singlet features flatlock seams, a streamline cut and Sensor Mesh X ventilation panels for high levels of breathability and moisture management. Perfect for both new and experienced triathletes, the Perform Tri Singlet will keep you going mile after mile.